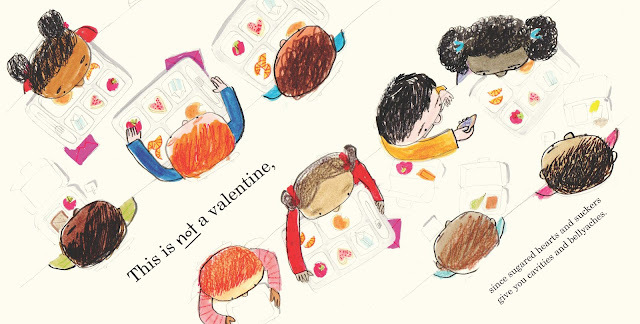 When a boy is unexpectedly given a valentine by a classmate, he spends the rest of the day showing her his own honest expressions of love, from drippy artwork to lucky rocks. He realizes that he cares so much about her not knowing he cares that he's actually demonstrating how much he DOES care. 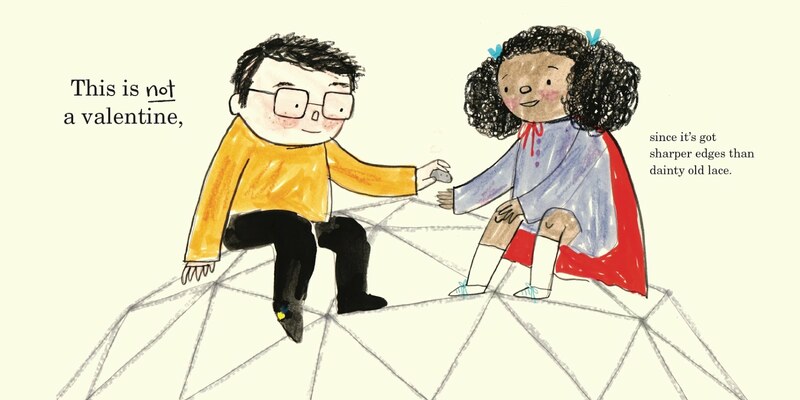 It's a sweet, humble, and personal story about showing love every day of the year. Cummins created the illustrations in this book using gouache, brush marker, graphite, colored pencil, crayon, ink, and charcoal. This combination of a wide variety of media makes the illustrations feel both childlike and precise in their execution. Likewise, the visual arc in this book is impeccable: the front and back half-endpapers reflect the emotional journey of the characters, the first full spread has a bus of children driving "into" the book and the final one has a bus going "out," and the multitudes of points of view make each illustration feel unique in tone and focus. 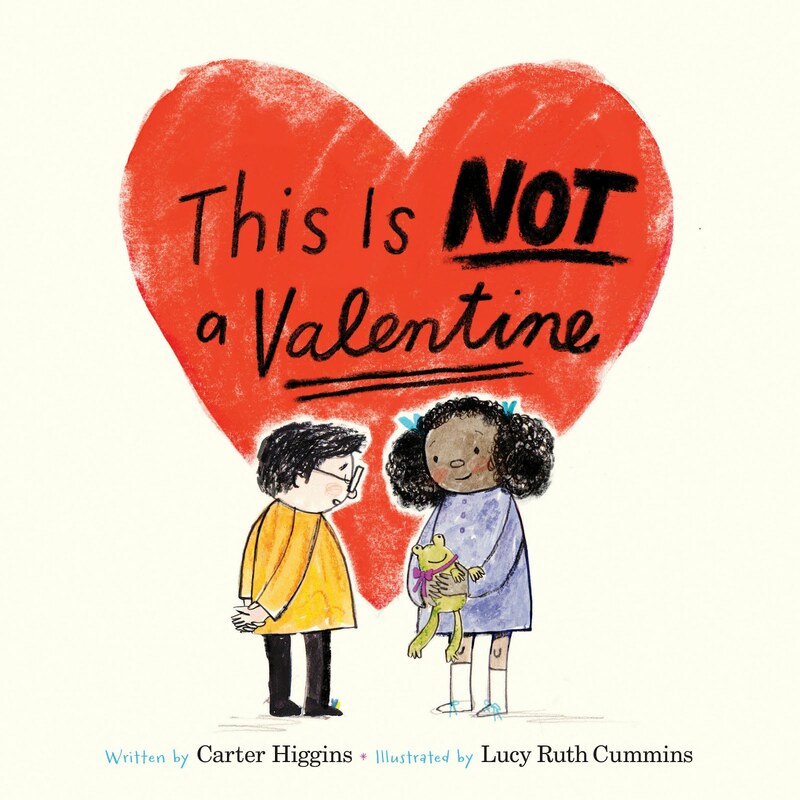 This Is NOT a Valentine publishes December 26, 2018!